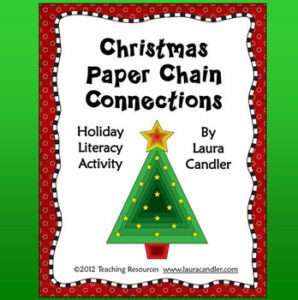 In this seasonal literacy activity from Laura Candler, students make connections while reading and write their connections on slips of paper. They link their connections together to form a long paper chain that can be used to decorate a Christmas tree. The Paper Connections activity would work well in a literacy center or as a part of a holiday “reading marathon.” Complete directions are included.